Melissa McCarthy is an American actress, comedian, writer, fashion designer, and producer. She is best known for television roles as Sookie St. James on Gilmore Girls, Molly Flynn on Mike & Molly and Dena on the ABC sitcom Samantha Who?. She has also starred in such films as Bridesmaids, Ghostbusters, Identity Thief, Tammy, The Boss, The Heat, St. Vincent, Spy and Life of the Party. For her role in Bridesmaids, she was nominated for an Academy Award for Best Supporting Actress. She hosted Saturday Night Live in October of 2011. 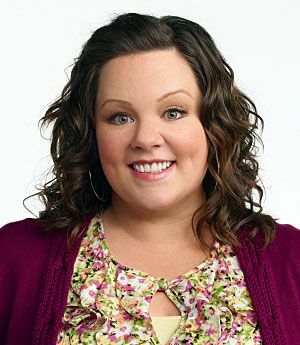 Born Melissa Ann McCarthy on August 26, 1970, in Plainfield, Illinois, to Sandra and Michael McCarthy, she grew up on a farm and loved playing tennis. She is of Irish descent on her father’s side, and of English, German, and Irish descent on her mother’s side. She attended and graduated from St. Francis Academy (now Joliet Catholic Academy) in Joliet, Illinois. She began her career with stand-up comedy in Los Angeles. She has been married to Ben Falcone since October 8, 2005. They have two daughters, Vivian and Georgette. *She was born on August 26, 1970, in Plainfield, Illinois. *She is a cousin of actress Jenny McCarthy and basketball player Joanne McCarthy. *Became 4th highest-paid actress of 2017 with $18 million. *She is good friends with Octavia Spencer and Christina Applegate.